Welcome to Associates and Bruce L. Scheiner, Attorneys for the Injured. We are a family-run law firm of more than 50 legal, medical and investigative professionals dedicated to fighting for the rights of injury victims since 1971. Our sole focus is on personal injury and wrongful death litigation in Southwest Florida, including Lee, Collier, Charlotte, Hendry and Glades counties, as well as the Florida Keys. Our singular focus allows us to provide experienced legal representation to victims in a wide variety of cases, including car accidents, motorcycle accidents, trucking accidents, bicycle and pedestrian accidents, nursing home neglect and abuse and wrongful death litigation. Associates and Bruce L. Scheiner, Attorneys for the Injured, was founded by Bruce L. Scheiner and his wife Cheryl Scheiner. Both continue to work alongside their son, Preston J. Scheiner, the firm’s lead trial attorney. Bruce personally assembles the team best able to see the case through to settlement or trial, and he oversees each and every case from intake to resolution. Offices in Fort Myers,Cape Coral, Naples and Port Charlotte. Our car accident attorneys in Fort Myers handle a wide variety of collision claims, including drunk driving collisions and distracted driving accidents. Florida joins California and Texas as the three deadliest states in the nation for traffic collisions, according to the National Highway Traffic Safety Administration. Each year, more than 2,000 victims are killed on Florida roads, or about six a day. Drunk drivers continue to be responsible for roughly one-third of the state’s traffic fatalities. Fast-paced growth in Southwest Florida has increased the risks in recent years as the state struggles to accommodate the influx of new residents and seasonal visitors. Our exclusive focus on representing victims of personal injury and wrongful death has given us the knowledge and experience to thoroughly investigate your claim, identify all responsible parties and determine all of the damages to which you are entitled. The motorcycle injury lawyers at Associates and Bruce L. Scheiner, Attorneys for the Injured, have built a reputation as safe-riding advocates and courtroom defenders of the riding community’s rights. For more than a decade we have provided sponsorship to Cape Coral Bike Night, Fort Myers Bike Night, Bikers for Babies and other family-friendly riding events and riding-safety awareness campaigns. Nationwide, the popularity of motorcycle riding, combined with the carelessness of other motor vehicle drivers, has doubled the number of riders killed on the roads in recent years. Florida’s year-round great riding weather, poor road infrastructure, and influx of annual visitors make it the most dangerous state in the nation for motorcyclists, claiming more than 500 lives annually, according to the Governors Highway Safety Association. Pedestrians face the brunt of the risks created by Southwest Florida’s explosive growth, as cities continue to struggle to provide basic safety infrastructure, such as adequate sidewalks, lighting and crosswalks. The Cape Coral-Fort Myers area in particular has been identified as the most dangerous metro area in the nation for walkers, according to Smart Growth America’s landmark 2016 report “Dangerous by Design,” which analyzes the impact of poor infrastructure and city planning on pedestrian safety. Nine of the nation’s most dangerous walking cities are located in Florida, according to the report. The pedestrian accident attorneys at Associates and Bruce L. Scheiner, Attorneys for the Injured, have been fighting for the rights of pedestrians who have been injured and the families of those who have been killed in Southwest Florida throughout decades of explosive growth. The City of Fort Myers was home to fewer than 30,000 residents when Bruce L. Scheiner built his law firm at the edge of town, near Page Field, in 1971. Cape Coral had just 10,000 full time residents. Today more than 250,000 people call those two cities home, and the population of Lee and Collier counties has surpassed 1 million residents. Bicyclists face similar risks. Like pedestrians and motorcyclists, they are among our most vulnerable road users in Florida. Any collision with an automobile is likely to result in very serious or fatal injury. More than 100 riders a year are killed on Florida roads; only California reports more riding deaths each year, according to the National Highway Traffic Safety Administration. Factoring population, Florida still holds the No. 1 spot. Consulting with an experienced bicycle injury lawyer is best done as soon as possible following an injury accident. When we think of commercial vehicles, we often think of tractor-trailers or other large trucks that dominate highways like Interstate 75. Certainly, semi-truck accidents are a primary threat on the roads of Southwest Florida. However, today’s delivery economy has put an increasing number of commercial vehicles on suburban roads and neighborhoods, where they increase the risks to motorists, bicyclists and pedestrians. Our trucking accident lawyers in Fort Myers and Naples know these are often complex cases resulting in very serious or fatal injuries. Your chosen personal injury or wrongful death law firm must have significant experience investigating trucking collisions. In addition to a host of state and federal regulations, the truck accident lawyer you choose must understand the many common factors in causation and have the knowledge, experience and resources to protect your rights against some of the nation’s largest trucking and liability insurance companies. Southwest Florida is a prime tourist destination, particularly during the winter months. Personal injury lawsuits on behalf of tourists in Florida often involve hotel injuries, swimming injuries, slip and fall accidents, personal watercraft and boating accidents, parasail injuries and other types of premises liability claims. At Associates and Bruce L. Scheiner, Attorneys for the Injured, our tourist injury lawyers in Fort Myers and Naples know many businesses in Southwest Florida rely on seasonal visitors for their livelihood. They have a legal duty to treat their visitors and guests with the utmost care with regard to their safety. However, when an injury accident does occur, tourists must take certain steps to protect their rights. Dealing with a serious injury on vacation is something nobody enjoys. But protecting your rights is critical to assuring you and your family don’t suffer the financial burden of treatment and recovery. Consulting an experienced personal injury law firm can also protect your rights should complications arise or your injury proves more serious than initially suspected. Our tourist injury attorneys have spent decades representing the injured in Southwest Florida. We understand the challenges of filing a claim living-out-of-state and can often handle your case without necessitating your return during the litigation process. Premises liability claims are those that involve a property owner’s duty of care to those lawfully on site. In general, the law requires property owners and the businesses controlling that property to provide customers and invited guests with passage free of dangers about which owners knew or should have known - particularly when such dangers are not open and obvious. When a business or property owner fails in this regard, victims may be entitled to compensation for medical expenses, lost wages, pain and suffering and other compensable economic and non-economic damages. At Associates and Bruce L. Scheiner, Attorneys for the Injured, we believe our exclusive focus on personal injury and wrongful death litigation, provides our clients the best chance of winning a comprehensive claim for damages. 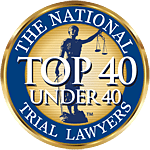 Our mission has remained steadfast through half a century of fighting for the rights of personal injury and wrongful death claimants in Southwest Florida: To provide around-the-clock experienced legal help to accident victims in Southwest Florida. We believe anyone dealing with a serious or fatal injury in Southwest Florida deserves immediate access to experienced legal help. We offer free and confidential consultations to discuss your rights, 24 hours a day/7 days a week. “From walking in people treated you like they knew you, not like you were just another person from the street. They actually made you feel welcome here.” – Chris J. “It seemed like everyone I spoke with in the Bike community told me to call Bruce L Scheiner. It was a good feeling to know that there is a lawyer out there that you can trust, that he’s not out for himself but he is there for you.” – Susan W.
“They were a comfort, they were honest, easy to talk to and they were there when we needed them .I would trust Bruce L. Scheiner with my life, he has my back and I have his.” – David W.